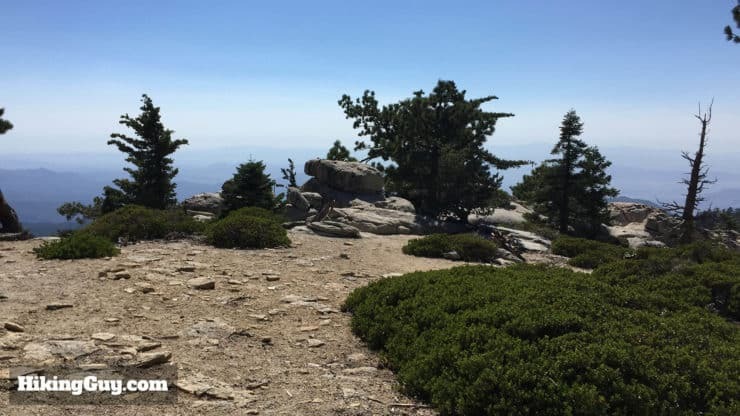 If you just want to summit San Jacinto but don’t want to tackle a hike this far, try the San Jacinto Summit hike from the tram in Palm Springs. 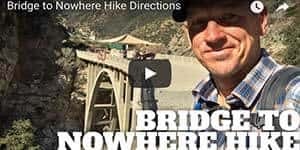 You can also split this hike into an overnight backpacking trip. Campgrounds on the route (described below) are first come, first serve. 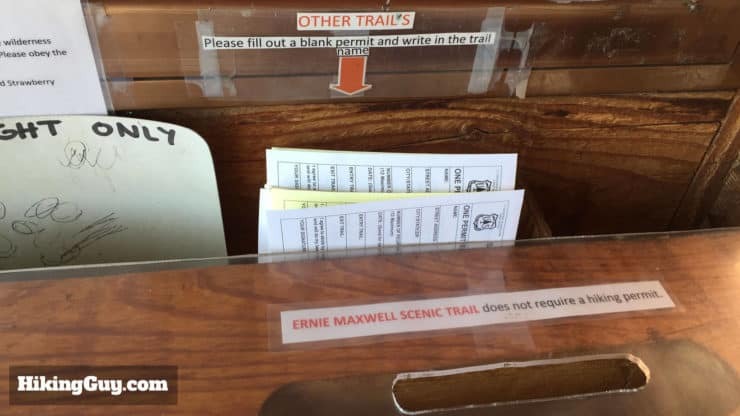 Pick up a camping permit at the ranger’s office. You also need a permit if you’re using a portable stove (or campfire). 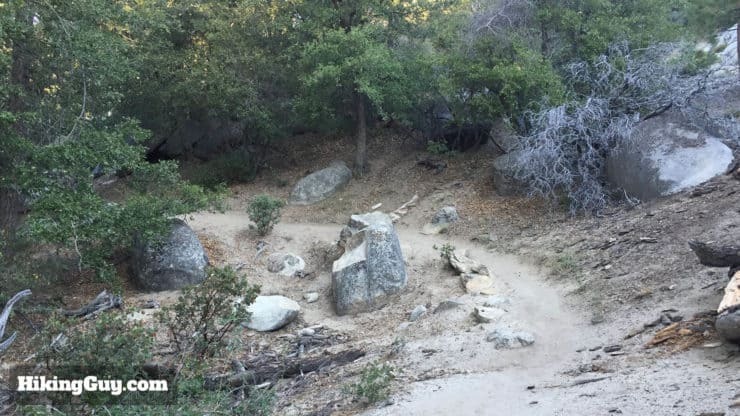 Use this GPS address: Deer Springs Trail, Idyllwild, CA, 92549, USA. 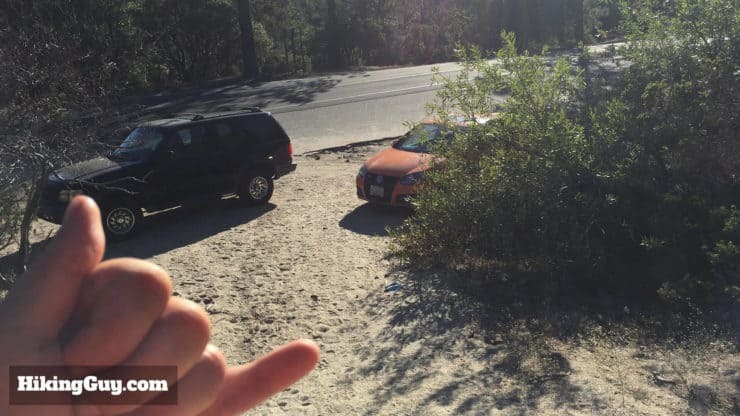 You need a parking pass for the Deer Springs Trailhead parking. 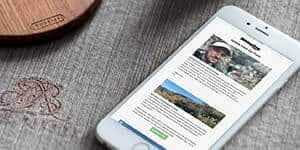 I use the affordable National Parks Pass, which gets me in every park, monument, and national forest. You can also use an (Southern California only) Adventure Pass, or buy a $5 day permit from the ranger’s office. 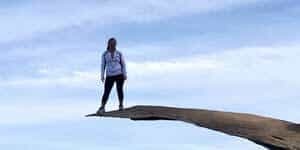 You need a permit for this hiking route, and it’s easy to get, there are no quotas (unlike other routes). 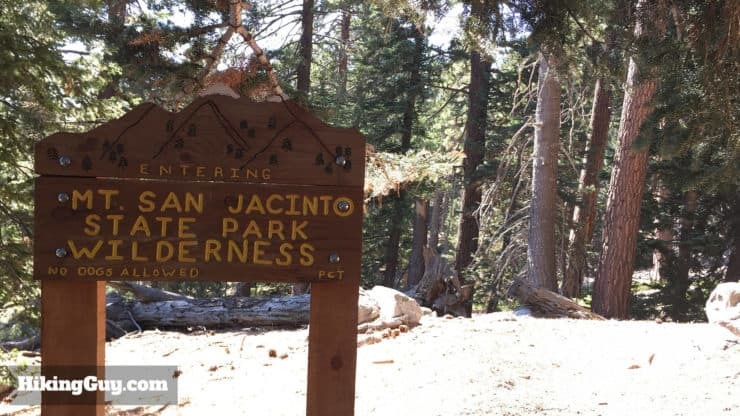 Just pick up the permit at the San Jacinto Ranger Station, fill it out, and hike. You can get a permit after-hours, the permits are actually outside the station. 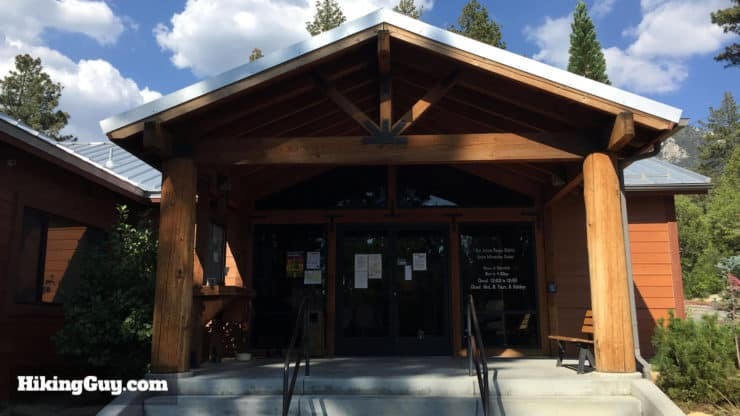 Address for San Jacinto Ranger Station: 54270 Pine Crest Ave, Idyllwild, CA 92549. 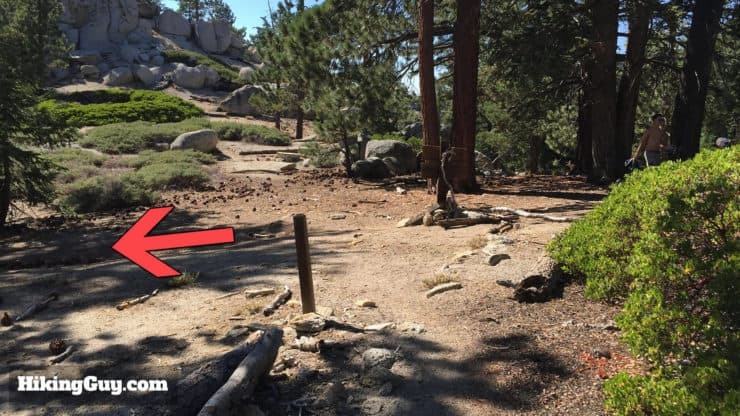 Before you start, visit the San Jacinto Ranger Station in the center of Idyllwild to get your free hiking permit. The permits are in a kiosk outside of the station (in front). 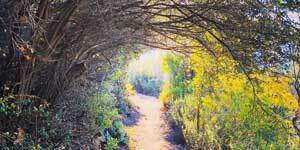 Fill out a normal permit for the Deer Springs Trail. Put the white copy in the box and the yellow copy in your pocket. 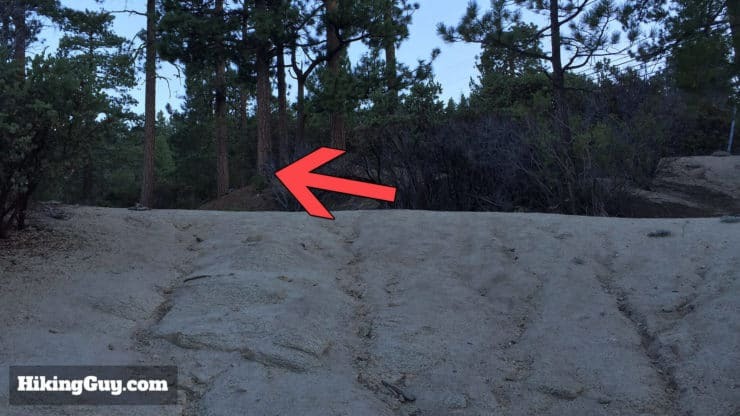 A ranger might ask to see it on the trail. This is a long hike. 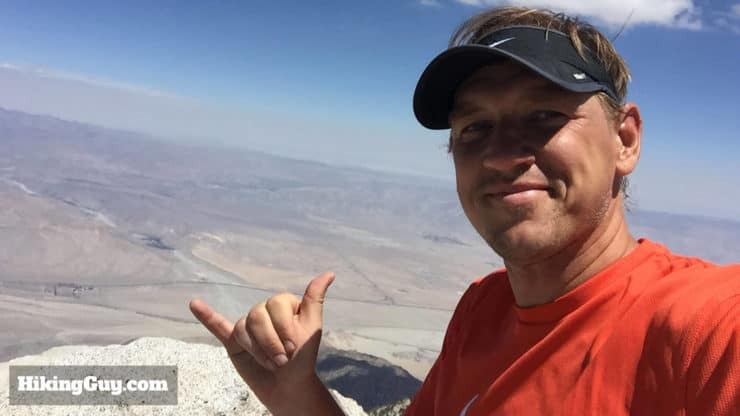 Make sure you pack plenty of water, snacks, and layers for the summit in the cooler months. Remember to pace yourself, don’t start too fast. And don’t try this in the winter unless you’re positive you can handle potential extreme snow, ice, and sub-zero conditions. Call the ranger office if you’re in doubt. The trail goes up and down Deer Springs Trail, and does a loop to the summit, and then descends along the scenic Wellman Divide. The loop is setup to maximize the great views. You hike uphill. For a long time. The good news is that the downhill is equally as long. 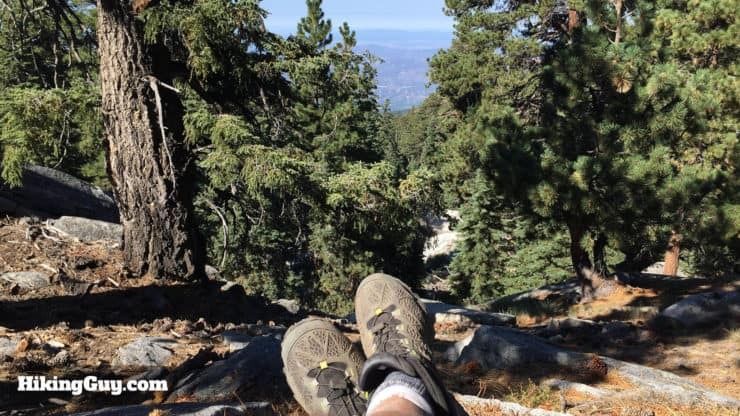 It’s a long distance hike, so you have to pace yourself. 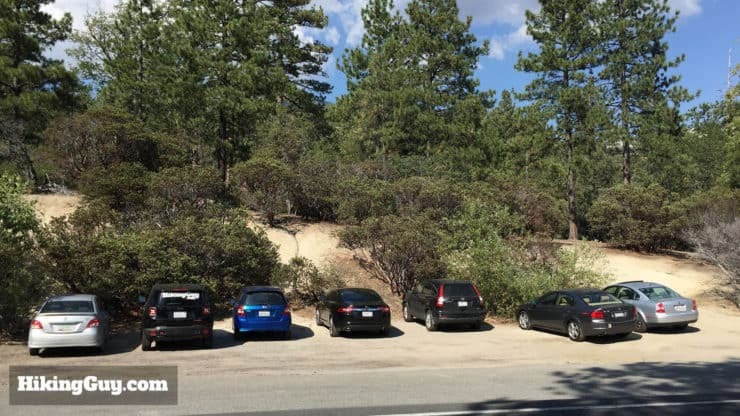 There’s parking at the Deer Spring trailhead, and another small lot a few hundred feet up the road. Leave early, it’s a long hike and the lot fills quickly. A wide trail leads up from the parking area. 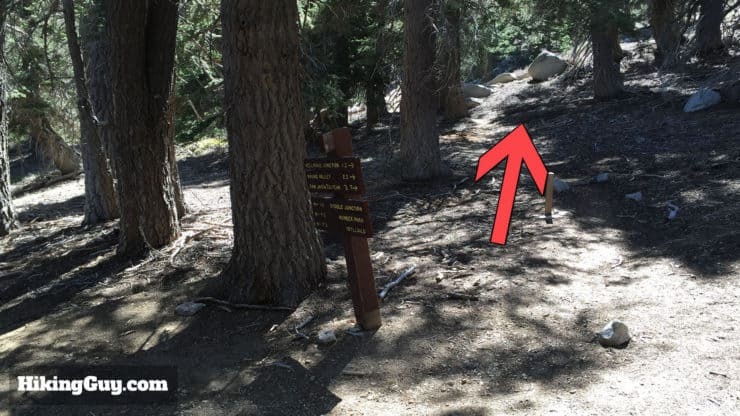 After a few hundred feet, make the left onto Deer Springs Trail. 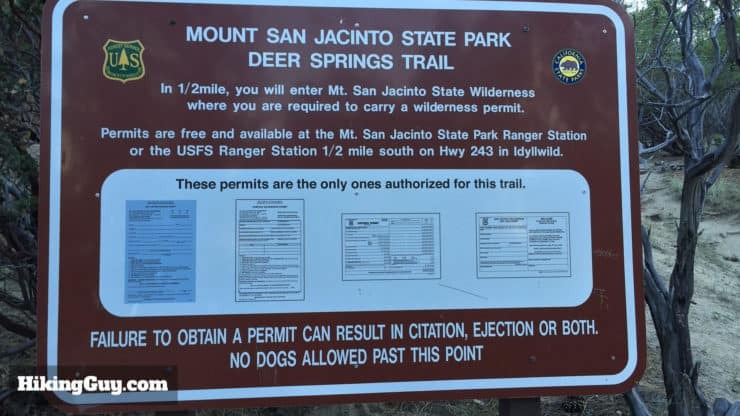 At the start of Deer Springs Trail, you’ll see a sign saying that you need a permit. 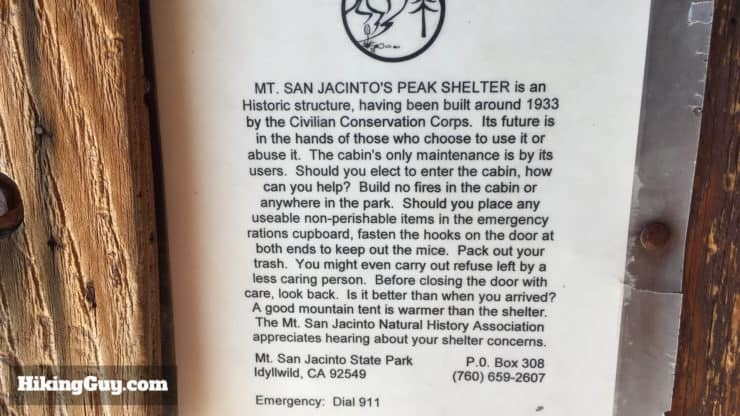 The permit that you filled out at the ranger station is good for both Mount San Jacinto State Park and San Jacinto National Forest. 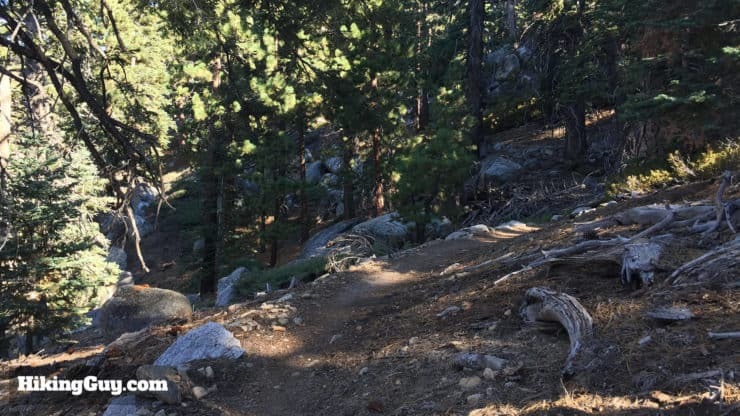 The trail gently climbs up switchbacks for the first few miles. 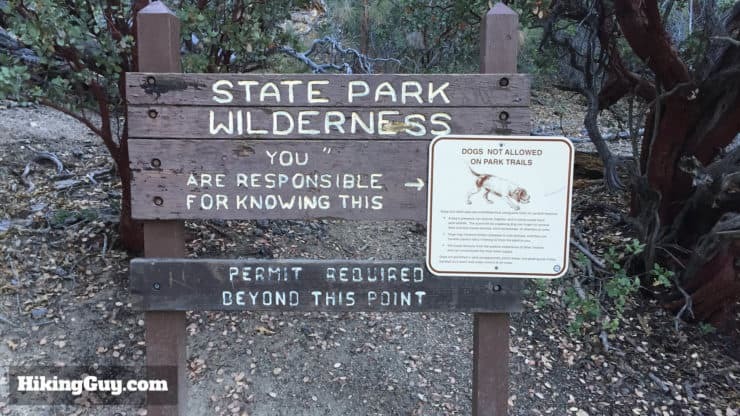 At about 0.7 miles, there’s another California State WIlderness sign. As you climb, there are side trails to the right offering views. Make sure you stay on the main trail and continue climbing. 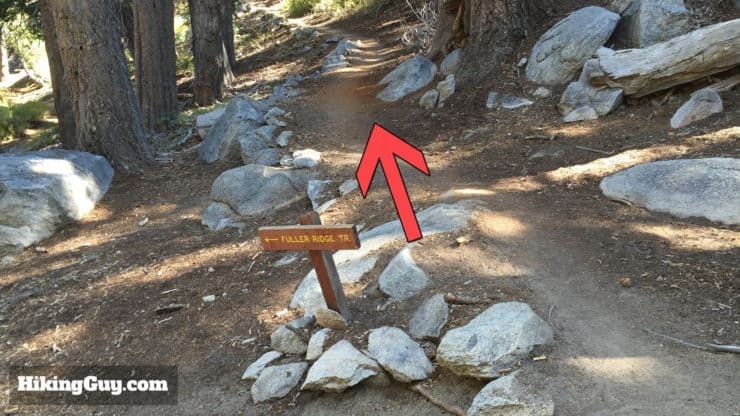 Generally side trails are ‘cordoned off’ with a stick, log, or row of stones. 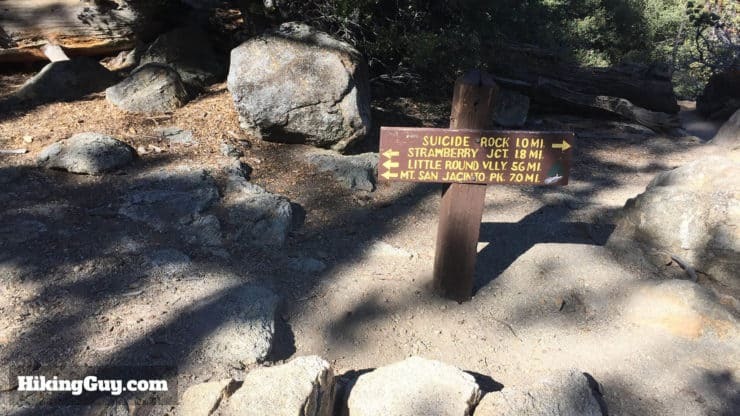 There’s a side trail to the right that goes to Suicide Rock. It’s easy to miss. 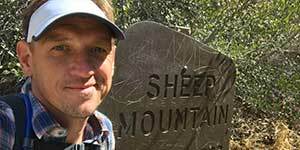 Give the detour a skip and continue to hike left on the Deer Springs Trail towards Strawberry Junction. 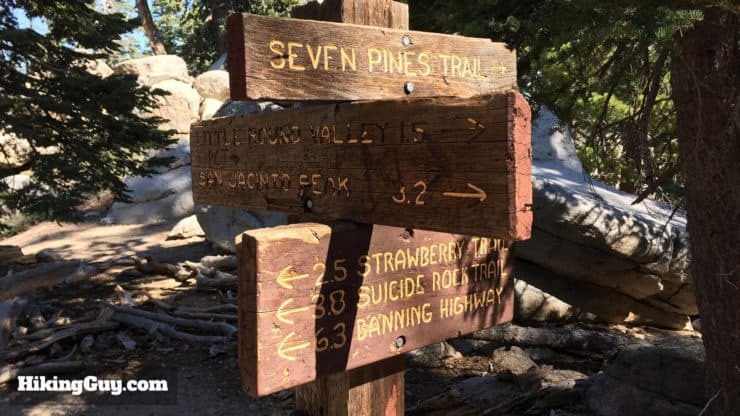 At about 4 miles, you’ll reach Strawberry Junction. Continue straight through this intersection and continue on Deer Springs Trail. 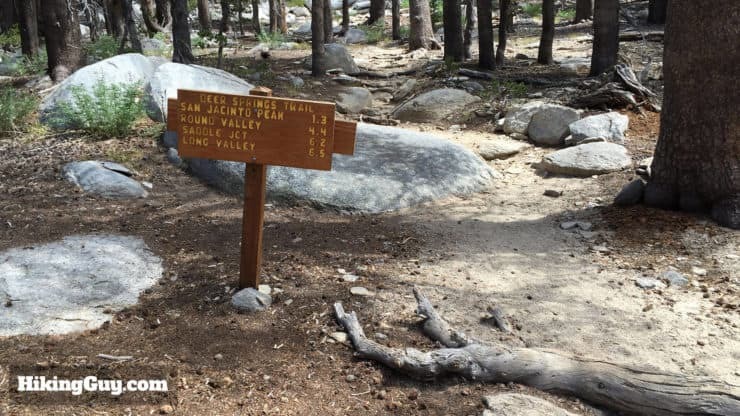 You’re officially on the Pacific Crest Trail (PCT). 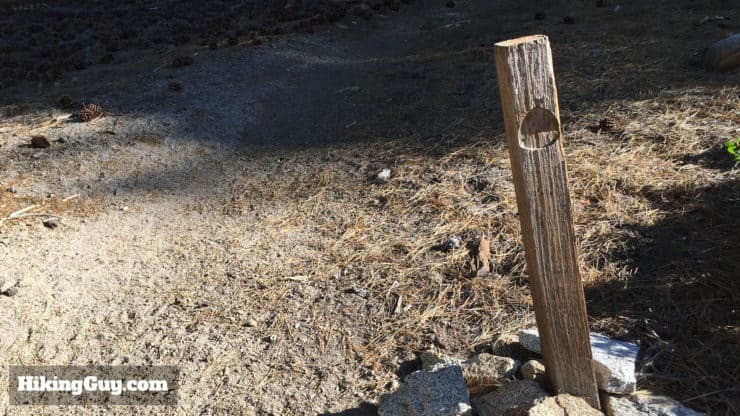 This sign post needs a little TLC, but you’ll notice a few of these as you continue on the PCT sections of the hike. 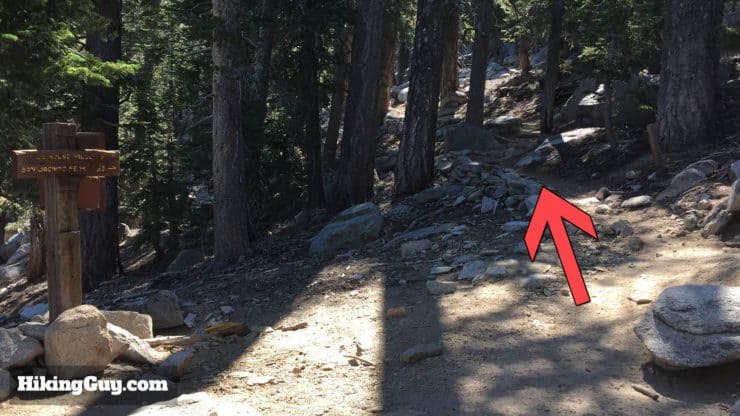 This section of the trail is pretty level as it goes around the side of Marion Mountain. The views are great on this section. It’s a great place for a pitstop and a snack. There are a few quick junctions in a row now. At about 6 miles, stay right at Deer Springs. 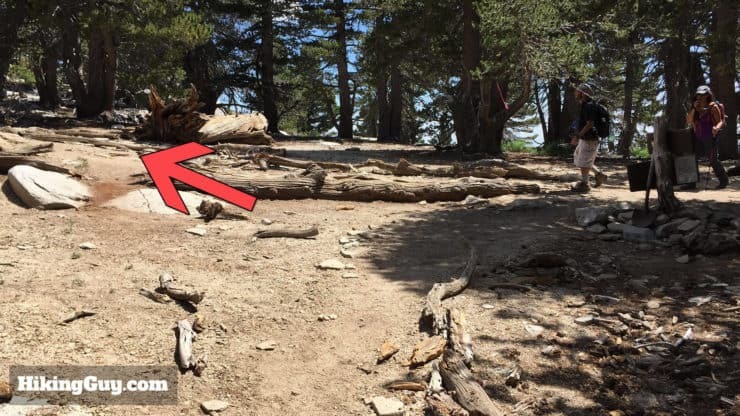 A few minutes later, another junction, stay right toward San Jacinto Peak. Here’s a closeup of that last trail sign. The trails on this hike area really well marked. When in doubt, check the signs. Shortly you come to the last intersection for a while. 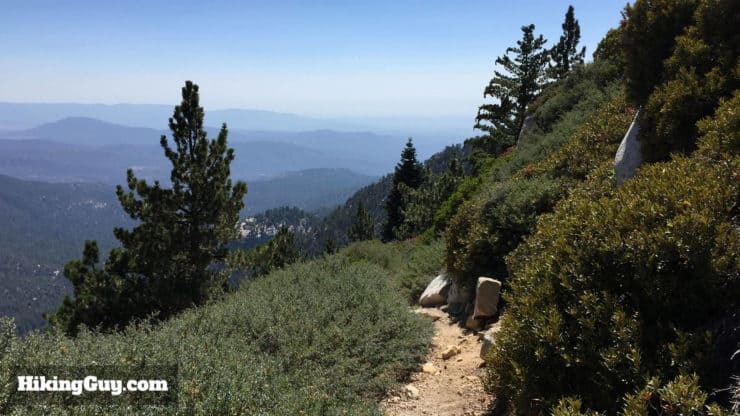 At 6.6 miles, say goodbye to the PCT and keep hiking to the right. You’re going to start climbing again. 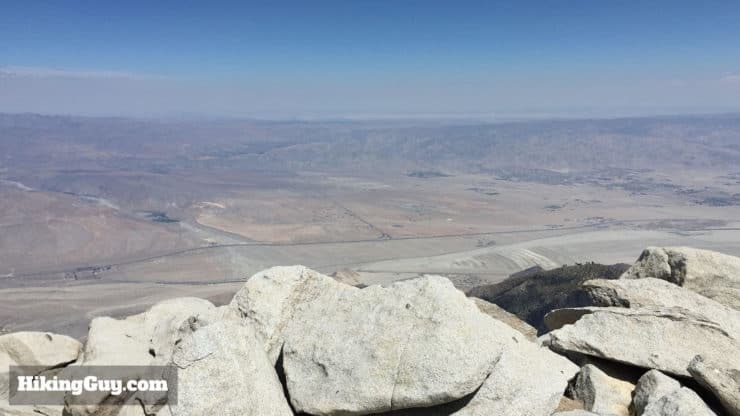 The views will open up to the west, revealing the peaks in Orange County and LA. The double bump in the back is Santiago Peak and Modjeska Peak. 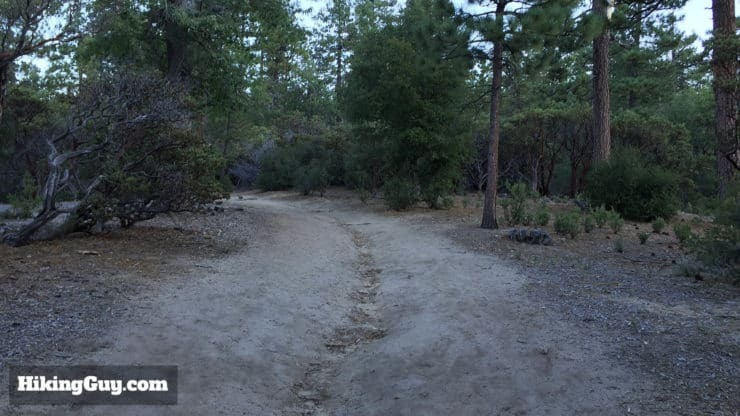 At around 8 miles, you reach Little Round Valley Campground. Keep hiking straight through. Little Round Valley Campground has some fun signs and sculptures. 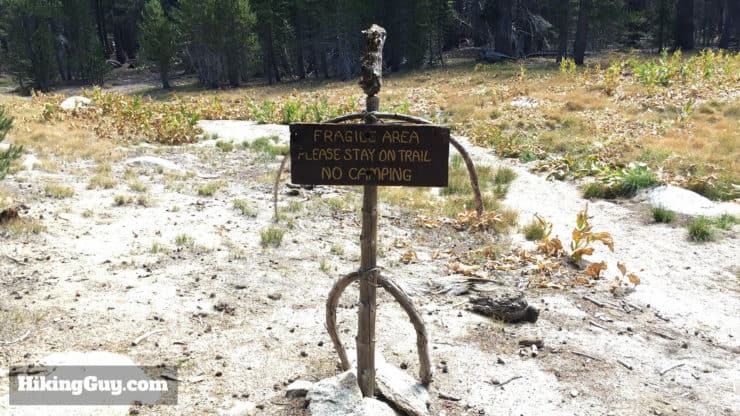 If you want to split the hike up into two days, get a camping permit before you leave and camp here. There are quotas on camping permits, so call ahead. 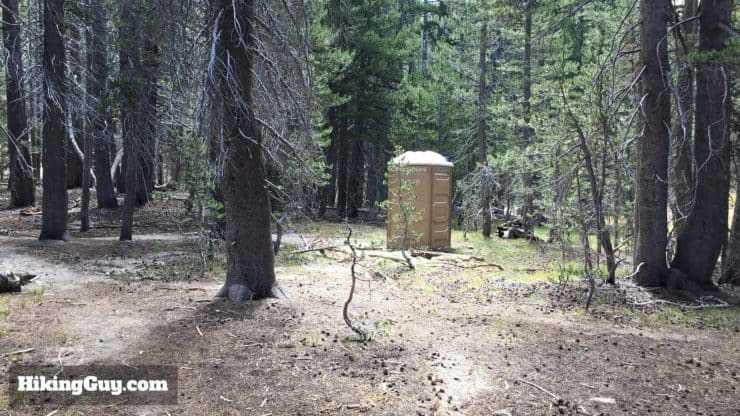 There’s a porta-potty here if you need to go to the bathroom. A trail milage sign marks the end of the campground. 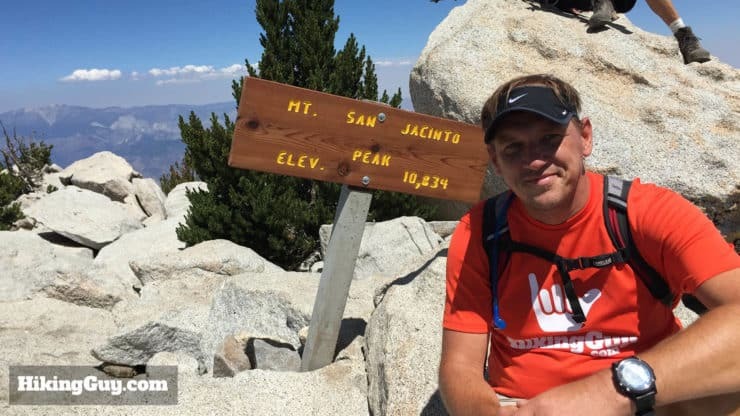 Keep going straight and start climbing again toward San Jacinto peak. 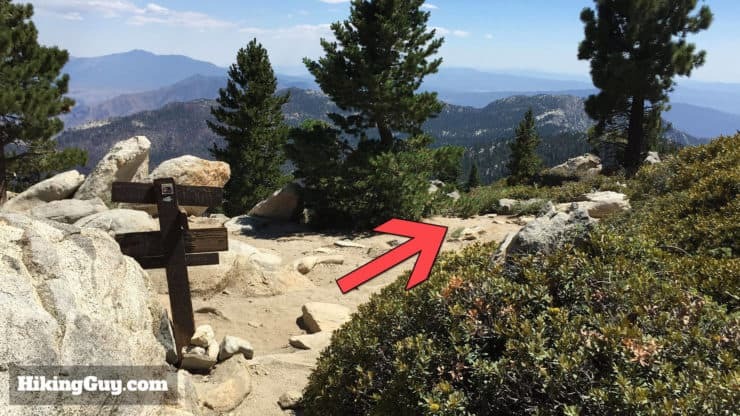 A series of switchbacks climb up the last major section of Mount San Jacinto. Whew! 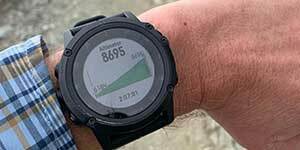 At about 9.6 miles, you’re on the ridge. Make the left for the last 0.3 mile scramble to the peak. Follow the trail up to the end of the line. The trail is not well defined here, it splits and comes together quite a bit. Just keep heading up. Soon the emergency hiker hut comes into view, head over to it for a look. 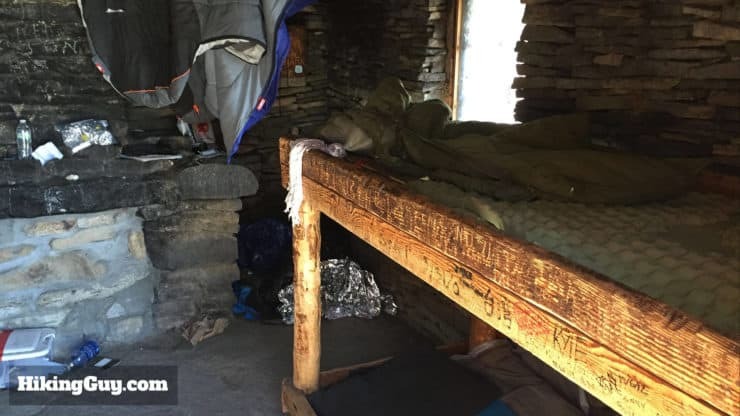 The hut has 4 bunks and is free to use for hikers in an emergency. If you have any extra supplies, leave them here for those in need. 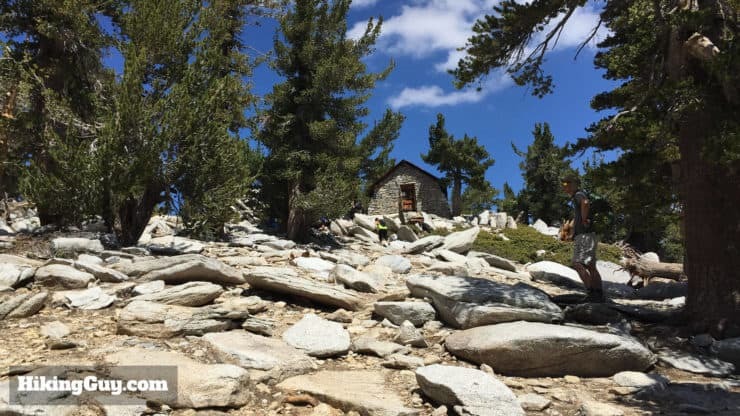 The hut was built in 1933 by the Civilian Conservation Corps under Roosevelt’s New Deal plan. Okay, back to climbing. 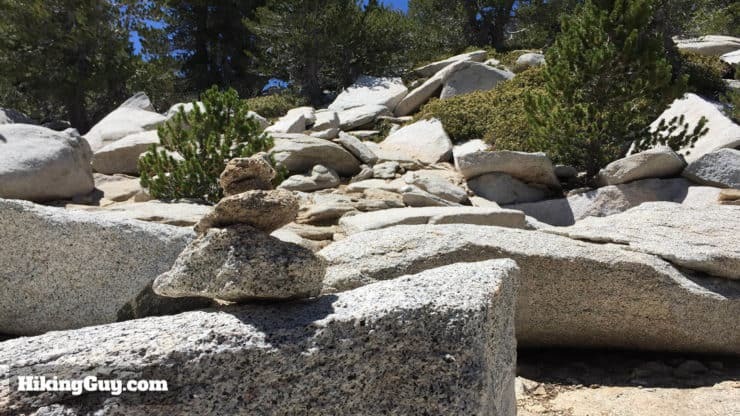 Follow the boulders and cairns toward the top. Again, there are several routes up. 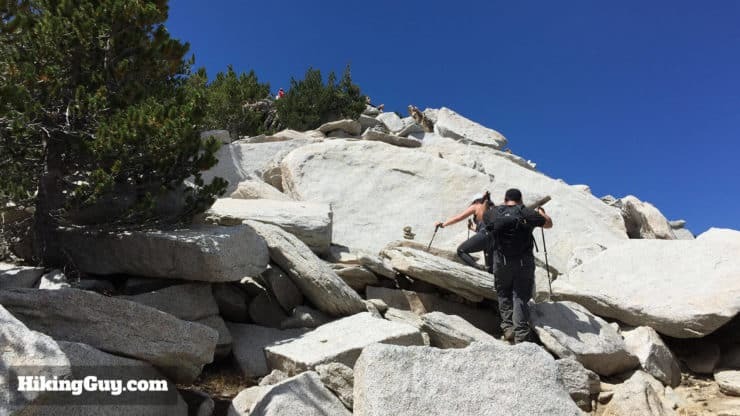 Tackle the last few boulders to get to San Jacinto peak. If the sign is here, get a picture with it. Visitors have stolen it in the past. 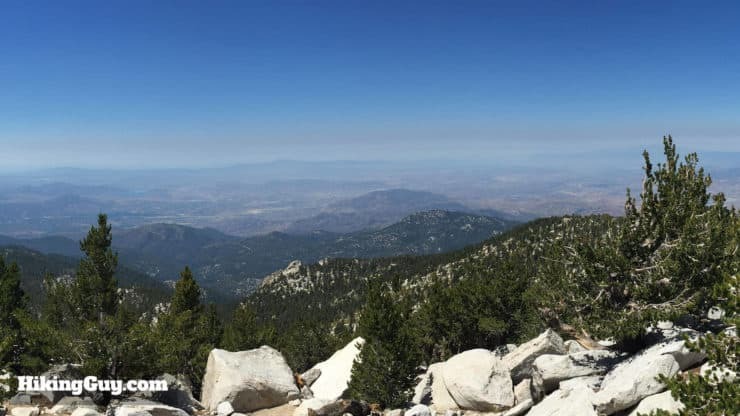 The views to the east are of Palm Springs, the Sonoran Desert, Joshua Tree National Park, and the Mojave Desert to the north of the mountains in the distance. 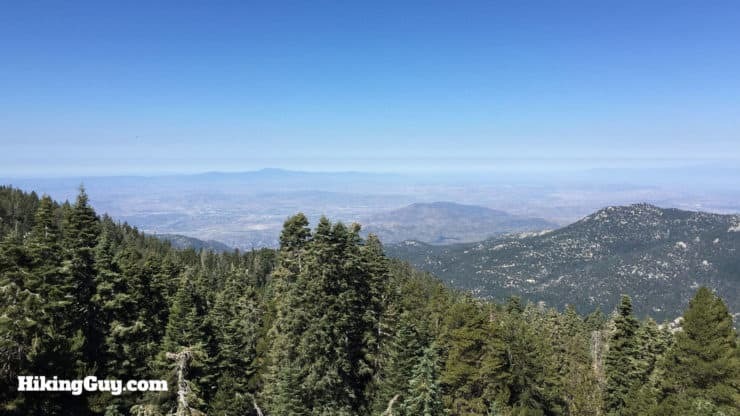 To the north and west, you have views of Mount San Gorgonio, the San Bernardino mountains, Angeles National Forest, LA, Orange County, and the Inland Empire. 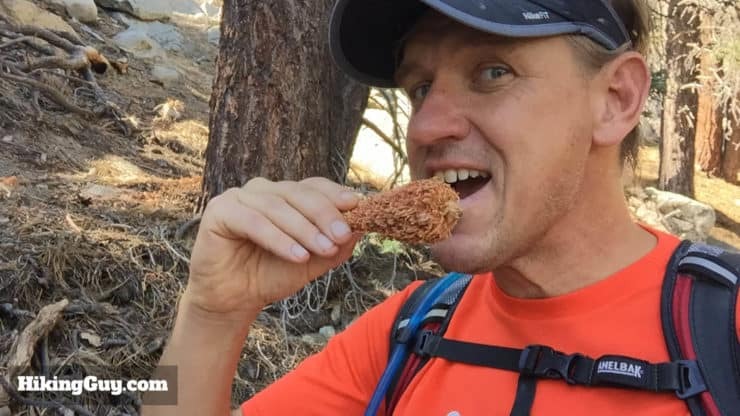 Grab a few selfies and some food to fuel up for the trip back to Idyllwild. 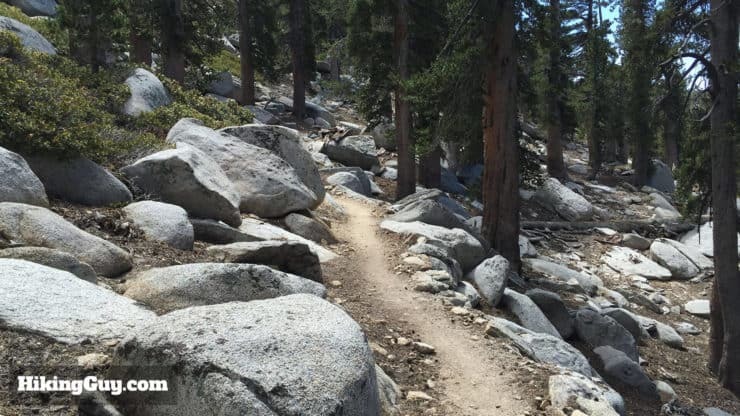 Head back down the boulders, past the hut, and continue to the trail junction. Instead of turning right (the way you came up), go straight. This route is the way back to the tramway. You will see a lot of day hikers who took the tram up on this stretch. Embrace your inner macho knowing that you hiked about twice as far as them without the aid of the tram. Enjoy your descent as the Wellman Divide Trail heads down the mountain. 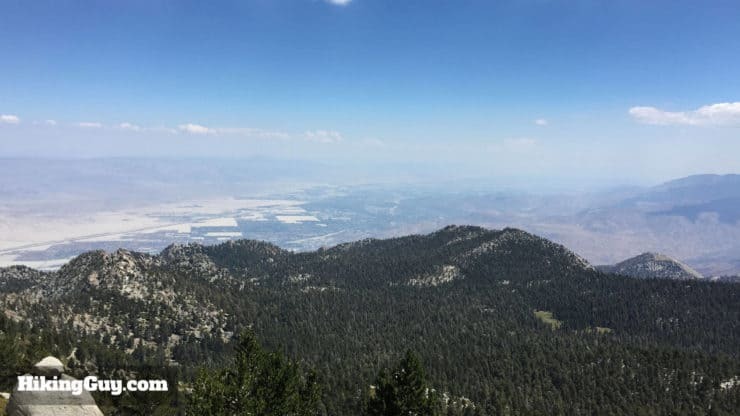 I routed the hike in this direction so that you can enjoy the great views of Palm Springs and the desert on your way down. Soak it all in. 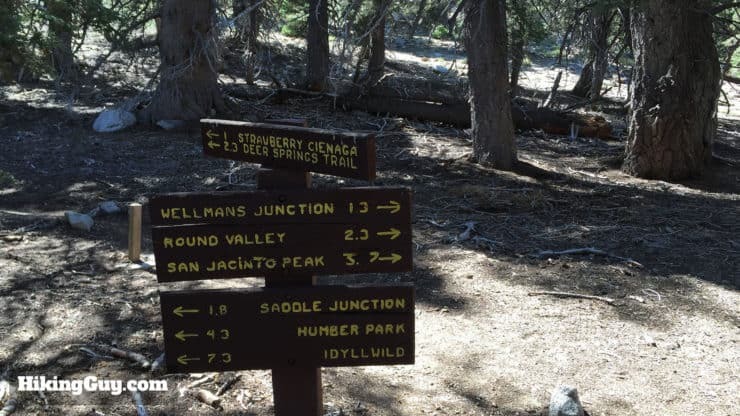 After about 12.1 miles, hike to the right at the junction and continue on Wellmans Divide Trail, towards Saddle Junction. 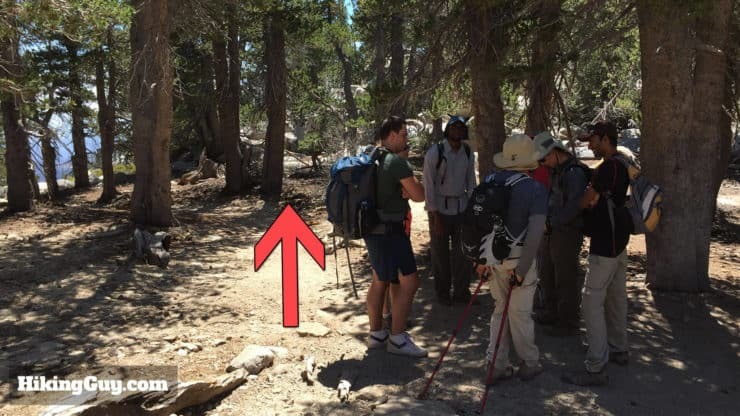 The hike will get a lot quieter as the day hikers from the tram head left at this junction. 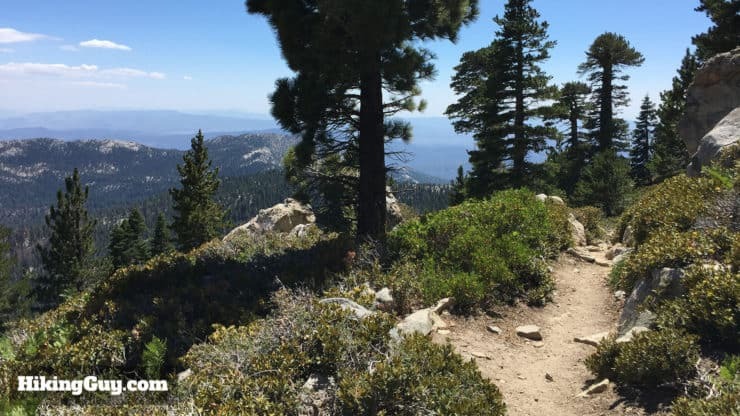 Spectacular views as the trail easily descends back toward Idyllwild. Another border crossing, this time back into San Jacinto National Wilderness. 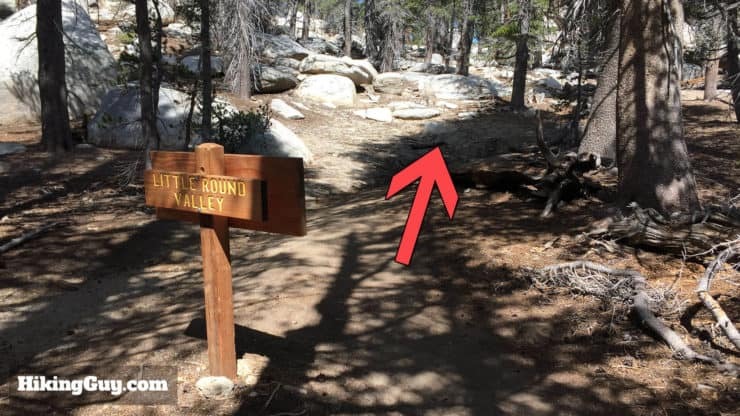 Shortly after re-entering San Jacinto National Wilderness, hike to the right on the trail to Strawberry Cienega and Deer Springs. 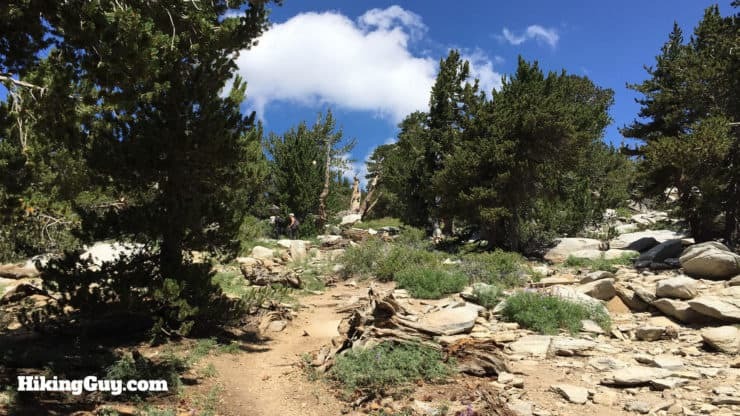 You are back on the PCT. A closeup of the trail sign in the last image, showing you all the options. 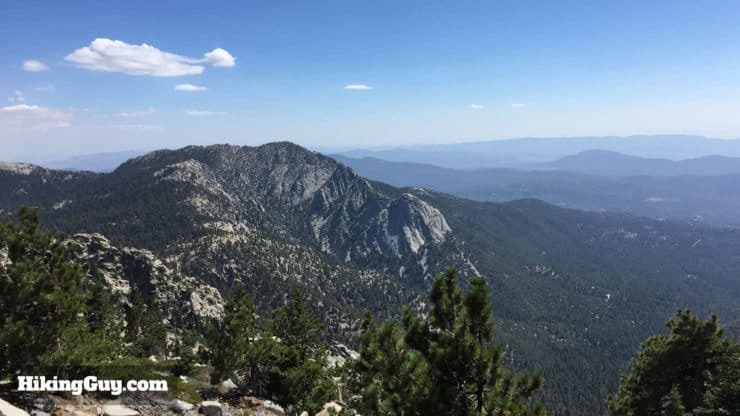 Don’t go toward Idyllwild, you want to go back to the Deer Springs trail. Continue hiking downhill. The views are incredible. The trail continues downward for 2.3 miles to Strawberry Junction. 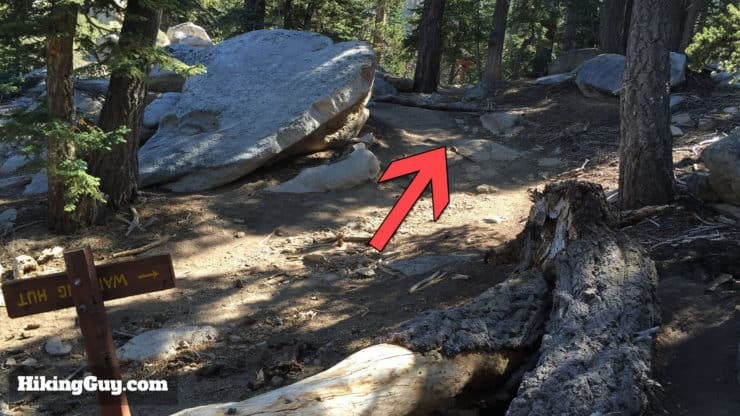 You might see some little drumstick shaped objects on the trail. Those aren’t chicken wings, they’re pine cones that have been eaten by squirrels. 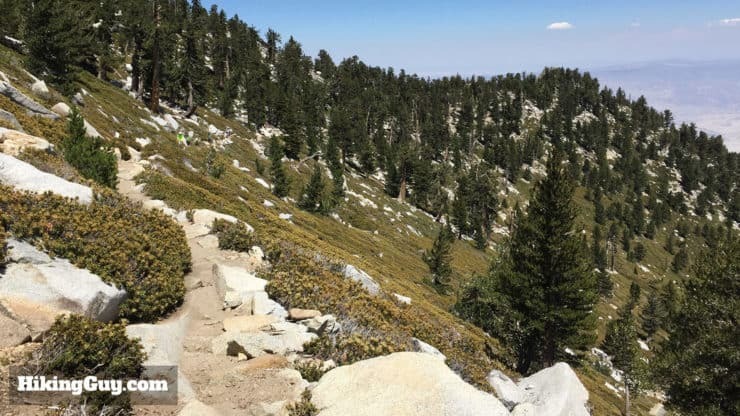 At around 15 miles the trail turns and follows a nice flat area on the ridge that offers some nice backcountry camping opportunities. 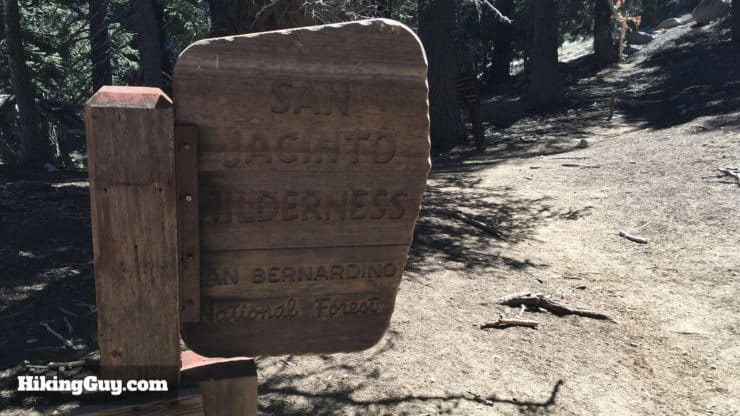 At around 15.4 miles, you’re back in San Jacinto State Park Wilderness. 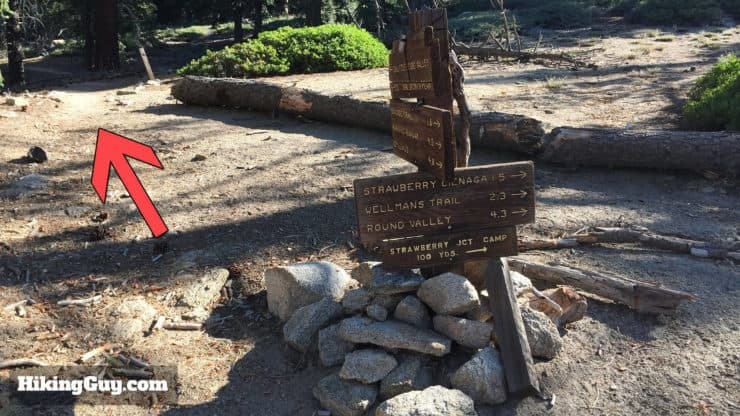 At about 15.7 miles, you go through Strawberry Junction Campground. There are bathrooms here (note the porta-potty in the background). 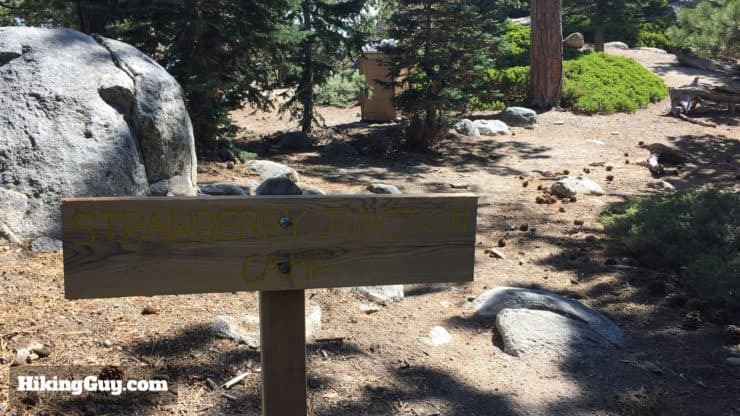 Hike through the campground and you’re back at Strawberry Junction. 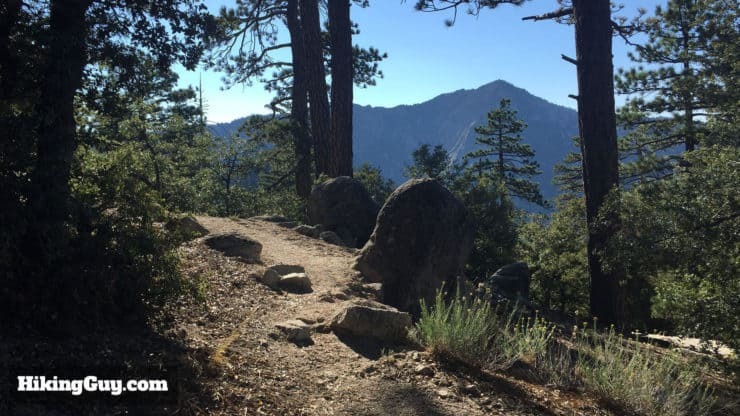 Make the left and hike back down Deer Springs Trail toward the trailhead in idyllwild and your car. This view is the back of the sign, the way you approach the intersection. About 19.5 miles later, you’re back! Pat yourself on the back, that was a long and tough hike. You deserve as many beers and burgers as you want tonight.